Thankfully, the Social Security Administration has created a procedure by which certain Social Security disability claimants’ hearing requests can move more quickly through the system. This procedure is set out in the Hearings, Appeals and Litigation Law (HALLEX) Manual I-2-1-40 called Critical Cases. The Critical Cases HALLEX suggests several instances in which a claimant can have his/her case determined to be a “critical” case and entitled to special or expedited processing. These instances include cases which involve a terminal illness; a veteran who has received a 100% permanent and total rating from the Department of Veterans Affairs; compassionate allowance cases; potentially violent individuals; dire need cases; and military casualty/wounded warrior cases. 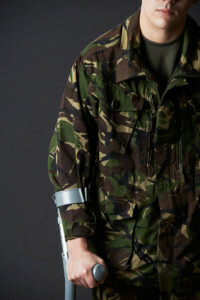 First, the claimant was a former member of the military service. Second, the claimant sustained an illness, injury or wound. Third, the claimant alleged that the illness, injury or wound resulted in either a physical and mental impairments, regardless of how the impairment occurred, or where it occurred (i.e., United States or on foreign soil). Fourth and finally, the impairments must have been sustained while the claimant was on active duty on or after October 1, 2001. Once the request for a critical case designation has been submitted, the request is assigned to a review person who makes a determination of whether the facts in the record support the request for a military casualty/wounded warrior case. If the reviewer finds that the facts do meet the regulatory requirements for a military casualty/wounded warrior case, the SSA hearing office will immediately assign the case for an “on-the-record” review. If the case meets the requirements for a favorable “on-the-record” decision, then the case will be assigned to a decision writer for an expedited decision, awarding or paying the case without a hearing. If the case does not meet the requirements for an “on-the-record” favorable decision, then the SSA hearing office staff with take all apporprate steps to develop the case and set the matter for an expedited hearing.